Home » Ohio » We braved the haunted Moonville Tunnel in Vinton County Ohio! We braved the haunted Moonville Tunnel in Vinton County Ohio! The Moonville Tunnel in Vinton County Ohio is an awesome place to visit if you enjoy hiking and seeing historical sites. Plus, it is supposedly haunted! Are you brave enough to visit the Moonville Ohio tunnel? Keep reading to learn more and plan your visit. Hiking on one of Ohio’s many great trails is our summer pastime of choice. It’s free, a great form of exercise, and has taken our family to so many amazing places that we never knew existed – like the Moonville Tunnel near Zaleski, Ohio. No time to read this now? Click here to pin it for later! 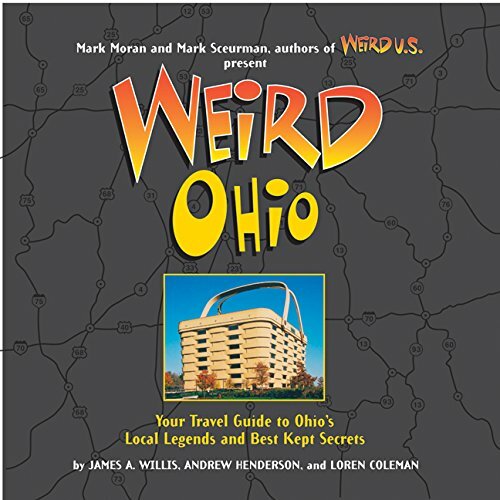 We first learned about the Moonville Tunnel in the book Weird Ohio and I knew I wanted to visit there sometime. I love hiking to places like this, as it makes history come alive. The Moonville Tunnel is a large imposing structure that looks jarringly out of place among the trees and vegetation. Nearly all other remnants of the town of Moonville are gone, swallowed up by the forest. I’m not sure if I believe all the stories about the place being haunted (more on that in a bit), but there is an eerie feel about the place – lonely and foreboding. This was probably exacerbated by the fact that the first time we visited was on an overcast and dreary day. The Moonville Tunnel is on the Moonville Rail Trail. One thing I love about Ohio is that they have converted many of the unused railway lines to trails that can be used for hiking and biking. So cool! So after you visit the abandoned train tunnel, you can continue on into the woods for a nice and peaceful hike. Most visitors are just there to see the tunnel so if you continue on the Moonville Tunnel trail, you likely won’t encounter many other people. Before our first visit to the Zaleski area, we enjoyed learning about the Moonville tunnel history and the long forgotten town that surrounded it. Here is a little bit of what we learned…. The Marietta and Cincinnati Railroad developed the Moonville Station and Tunnel on land donated by Samuel Coe around 1856. The small mining town of Moonville grew up around the railroad. At it’s height, Moonville had about 100 residents living within a couple of miles of the tunnel. The town of Moonville consisted of a station, a schoolhouse, a saloon, and a cemetery. The tiny town existed until the 1940’s when the last family moved away. Today, all that is left is the tunnel, the cemetery, and the remnant of a foundation here and there in the woods. We looked around during our hike, but didn’t see any signs that a town ever existed, other than the spooky tunnel that looms oddly out of place among the trees of the forest. The train line ran until the mid 1980’s and the tracks were torn out a few years later. Fortunately the old line has now been converted into a trail in the Zaleski State Forest so hikers can visit this forgotten piece of Vinton County history. There are stories of the Moonville Ohio tunnel being haunted by 3 different ghosts. The most commonly reported ghosts are the brakeman and engineer, although there have been sightings reported of a lavender lady as well. 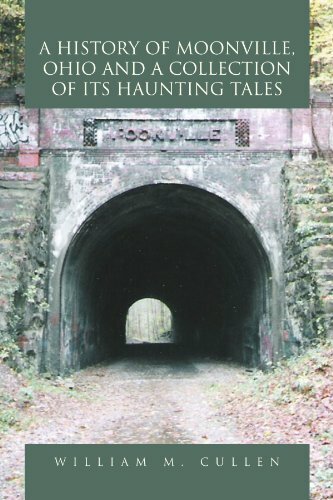 The Moonville Tunnel receives frequent nighttime visitors (mostly from the students at the nearby Ohio University) trying to catch a glimpse of these ghostly apparitions. The Engineer – In 1880 train engineer Frank Lawhead was killed near the Moonville Tunnel when 2 freight trains collided due to an error on the part of the train dispatcher. 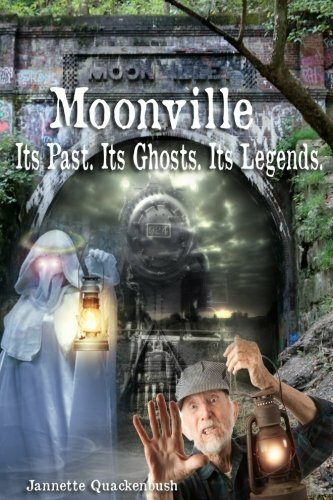 People often report seeing a Moonville Tunnel ghost dressed in white, wearing an engineer cap, and swinging a lantern back and forth. The Brakeman – There were at least 4 reported deaths of brakemen perishing near the Moonville Tunnel between 1850 and 1880. Many believe the ghost sightings in the tunnel are a brakeman doomed to trudge the railway tracks for all of eternity. The Lavender Lady – The railway tracks were not only used by trains in the 1800’s, but by people traveling on foot between towns. There are newspaper reports of several deaths where women were struck and killed by oncoming trains near Moonville. Eyewitnesses have reported the ghost of a woman who frequents the tunnel. After the apparition disappears, there is the scent of lavender in the air, even in the dead of winter. If you visit during the day, you don’t have to worry about ghost sightings, but you may experience issues with your camera acting up. There have been numerous reports of cameras that will not focus in the area of the tunnel, but work fine elsewhere. There have also been reports of ghostly apparitions showing up in photographs after they are printed. We have been back to the Moonville Tunnel in Vinton County Ohio many times and haven’t had an issue taking pictures since that first visit. Maybe the issues with those pictures were a byproduct of the poor lighting due to the lousy weather and the inexpensive camera we used. I guess we will never know. We began our very first trip to the Moonville Tunnel in Vinton County Ohio by getting lost. All the directions we found on the internet told us to turn onto Wheelabout road off of OH-278. However the directions failed to mention that Wheelabout road intersects 278 twice. Since the original directions were coming from the Lake Hope area, I guess they didn’t feel the need to mention that little fact. However, we were approaching from US-50 from the south. Unaware of the existence of another intersection with Wheelabout Road, we got spectacularly lost trying to follow the directions as written. Fortunately, we had our GPS so we finally decided to follow it to the Moonville cemetery geocache. Eventually got where we needed to be! Our first visit to the Moonville Tunnel was back in 2011. At that time there was no bridge over Raccoon Creek, so getting to the tunnel involved a little bit of a hike – maybe a quarter of a mile along the creek. The hike wasn’t particularly strenuous, but you did have to go up a hill at the end. I discovered that hill was quite slippery in the rain. I was glad I had my hiking pole along. The Moonville Tunnel is quite a sight as you leave the woods and round the corner. I will never forget my first glimpse of it. The tunnel is an impressive structure, despite all the graffiti. At first glance, you almost want to blink twice and make sure you are seeing it right. It doesn’t quite seem to fit there among the trees of the forest. If you venture through the tunnel you might want a flashlight to view all the “art”. The tunnel is evidently a popular hangout with the younger crowd if the amount of graffiti is any indication. We walked through the tunnel and continued along the Moonville Tunnel trail a bit, feeling a bit lost in time. The tunnel is quite longer than it appears. At least it seems that way when you are walking through it! It gets quite dark in the middle. Since the Moonville Tunnel trail follows an abandoned rail bed, you can extend your hike well beyond the tunnel itself. If your family is into geocaching or letterboxing, there are several in the area to find. You can actually hike from the Moonville Tunnel to the Kings Hollow Tunnel during dry times of the year when the water in the creek is low and passable. Here is a trail map detailing the path between the Moonville Tunnel and the Kings Hollow Tunnel. We are planning to try the hike later this summer. It involves crossing the creek because the railway trestles are gone at 2 points. There are plans however to replace those bridges so people will easily be able to hike between the 2 tunnels. The Raccoon Creek Bridge Makes it Much Easier to Visit the Tunnel! We have been back to visit the Moonville Tunnel in Vinton County Ohio many times over the years. Last summer, we were camping at Lake Hope and decided to visit the tunnel while we were in the area. It had been several years since our last visit. So we parked at the steel truss bridge and followed the little trail like we always do. The further we progressed on the trail, the more overgrown it became. We thought this was a bit odd due to how popular the tunnel is, but pressed on. We had to do a bit of bushwhacking at the end, because the trail was lost completely. However we eventually got to the hill and emerged from the woods – only to discover that sometime since our last visit, a bridge had been built over Raccoon Creek. UGH! We got quite a few odd looks as we emerged from the woods, slightly disheveled. After we got over our annoyance at our unnecessary adventure, we had a good laugh about it. I have updated my Moonville tunnel directions below so you don’t have to go through the same adventure on your next visit. With the bridge over Raccoon Creek, it’s just a short walk from the parking area to reach the tunnel. Want to visit the Moonville Tunnel in the future? Click here to pin the directions for later! Follow US Route 33 to Nelsonville. Turn onto OH-278 South and continue until you see Lake Hope on the right. After you pass the lake, turn left onto Wheelabout Road. You’ll soon come to a fork in the road – take the left fork which is Shea Road. Follow Shea Road for a couple miles. Shea Road will change to Hope-Moonville Road. If you encounter flooding, turn your car around and follow the alternate Moonville Tunnel directions that are listed later on in this post. Follow Hope-Moonville Road until you come to a steel truss bridge. Cross the bridge and keep going. A short distance up the road, you will see the tunnel parking area to your left. Park your car and walk across the bridge. The tunnel will be straight ahead up a short hill. ➡ Coming in from US-50? If you are approaching Wheelabout Rd from the south off of US-50, you want the second Wheelabout Rd. intersection which is within sight of Lake Hope. If you see the intersection for Wheelabout Road and have not yet gone through the town of Zaleski, keep going! ➡ Get lost despite following the Moonville Tunnel directions? After you turn off of route 278, navigating the roads can be a little tricky. They aren’t marked well. If you have a GPS, it can help you find your way to the tunnel. The Moonville Tunnel coordinates are 39.3073° N, 82.3225° W.
➡ Encounter flooding while trying to get to the tunnel? If you are visiting in the spring, or after a time of heavy rain, there is a low spot along Hope-Moonville Road that floods frequently when the water level in Raccoon Creek rises. If you encounter flooding, turn your car around and follow the alternate Moonville Tunnel directions below to avoid the flooding. Please take care turning your car around – the road is extremely narrow. ➡ Alternate directions to the Moonville Tunnel: After you have turned your car around, return to the intersection of Shea Road and Wheelabout Road and take a left. Follow Wheelabout Road until you get to Mace Road. Turn left on Mace, then follow it to the next intersection, which is Hope-Moonville Road. Make a left to proceed to the tunnel. About 100 feet or so past the parking area for the Moonville Ohio tunnel, you will see a gravel path to your right. This path will take you up a hill and into the Moonville cemetery. The gravel lane up into the cemetery is steep so you might want to just leave your car at the tunnel parking area and walk. The road into the cemetery is accessible with a car seasonally, but the road is not maintained and is little more than a dirt path. There is a small dirt parking area/turnaround in the cemetery. There are 13 known graves in the Moonville cemetery, but it is likely that there are many others up there with missing stones. You can learn more about this cemetery at Find a Grave. If you are looking for a nice hike to a historical site, the Moonville Tunnel in Vinton County Ohio is a great place to visit. If you have ever been to Moonville, be sure to leave us a comment below. We would love to hear from you. Happy exploring!